Join the Snohomish County Business Watch at our public meeting on 4/20/10 at 11:30am. Topis is Workplace Violence. 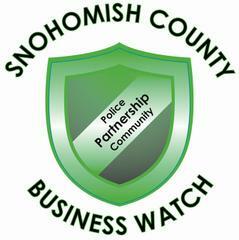 The Snohomish County Business Watch, a non-profit business crime prevention group, will hold it's quarterly public meeting on Tuesday, April 20th from 11:30am to 1pm at the La Cuesta Mexican Restaurant at 1621 41st Street, Everett, WA. We will have a guest speaker discussing Workplace Violence Awareness, Prevention and Response. Lunch will be provided at a cost of only $5 for attendees. Our Corporate sponsors, AACT (Alarm and Access Control Technologies) and Frontline Security Inc. will be subsidizing the cost of lunch and the materials we'll be handing out during the meeting. Come and join us for the opportunity to network with some of Snohomish Counties top business leaders and owners, and learn how you can help make Snohomish County a safer, more productive community in which to conduct business.